Is it possible to capture the sadness and suffering in a person's eyes? Daily Whip Out: "Olive's Dark Secret"
Is it possible to gauge the happiness of a face in a photo where the sitters are not smiling? 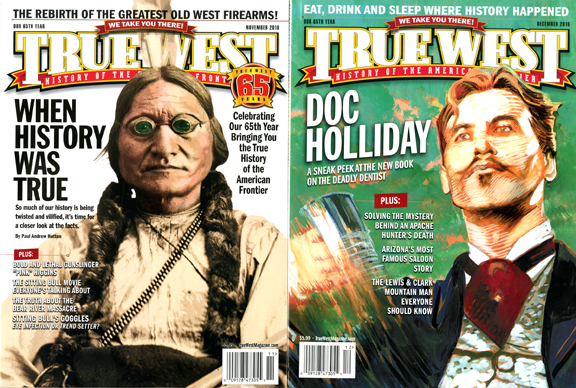 We once did a feature in True West magazine on all the smiling photos we could find from the Old West. 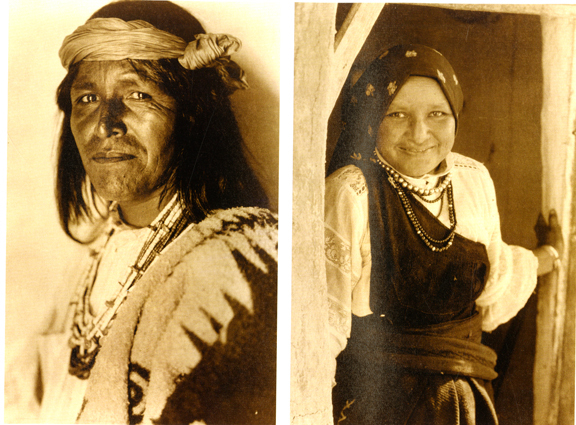 It's funny that when people smile, it doesn't seem like an Old West photo, does it? 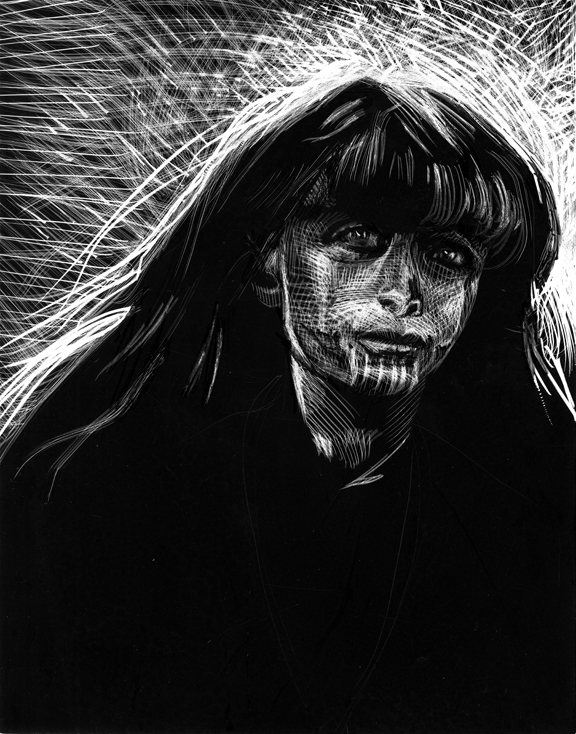 In fact, Rita Ackerman did a great feature in True West last year on the myths of the long exposure, bad teeth and overall sadness being the reason sitters in the Old West didn't smile. Check it out. 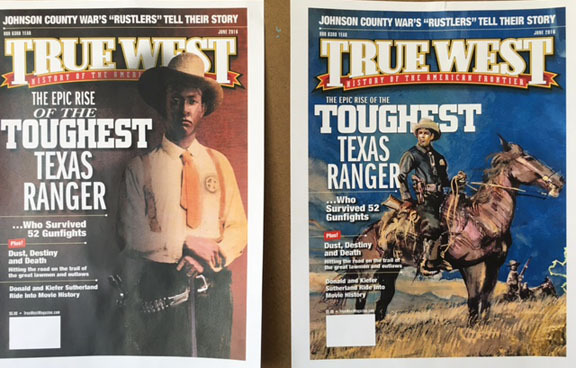 John Boessenecker wrote a wonderful and very accurate book about the real Frank Hamer, and we featured an excerpt on his epic rise as a Texas Ranger in True West magazine. The problem we still have with Hamer is that a half-century ago, a classic movie turned him into a villain. The Twisted Genius of "Bonnie And Clyde"
"When I was a kid, I noticed four things about movies: the characters could always find parking spaces at every hour of the day and night; they never got change in restaurants; and husbands and wives never slept in the same bed. Women went to sleep with their makeup on and woke with it unmussed. I thought to myself, I'm never going to do that. In 'Bonnie and Clyde', Bonnie counts out every penny of change, and C.W. [Moss] gets stuck in a parking place and has a hard time making a getaway." During the shoot, the crew called the death scene, "the Jack Kennedy scene," and with good reason. In the Zapruder-like, slow-motion, protracted, spastic death sequence, a fragment of Clyde's scalp is blown away as a grim reference to JFK's assassination, which had transpired a mere three years earlier. The bloody scene took four days to shoot. Both Warren Beatty and the director Arthur Penn wanted to make a statement about Vietnam, just then heating up. They wanted to show the disproportionate use of power against the powerless, or as one writer put it, "B-52s, against black-pajama-clad peasants." The director, Arthur Penn couched it this way: "They're not Bonnie and Clyde, they're two people who had a response to a social condition that was intolerable." The filming wrapped in December of 1966. Warner Brothers released the film "Bonnie and Clyde" starring Warren Beatty and Faye Dunaway in 1967 and it became a runaway hit, earning two Academy Awards. But Warren Beatty and his creative team made one mistake. 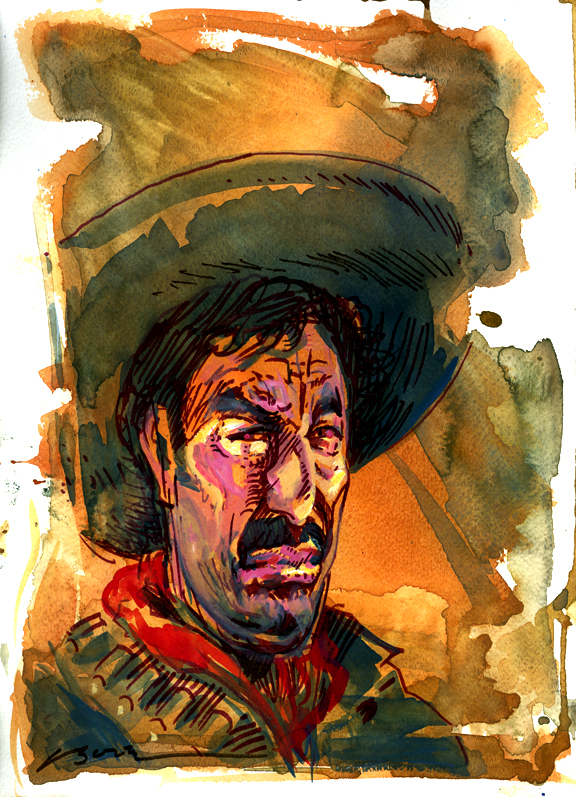 They foolishly used Frank Hamer's real name and made him the villain with a fictitious plot point where he is captured by the Barrow gang and humiliated, so Hamer kills them in revenge. Mrs. Gladys Hamer was not amused over the portrayal of her dear, dead husband (he died in 1955) and sued Warner Brothers for defamation and the unauthorized usage of Hamer's name. The studio paid $20,000 as a settlement, but the damage had been done. Because of the film, most people around the world still view Hamer as a bad guy. This would take a long time to remedy, but it started with Boessenecker's acclaimed book and then earlier this year it took the gumption and commitment of another guy and we are about to honor that guy with the True Westerner Award for 2019 for his new movie, starring Kevin Costner as Hamer, that attempts to redeem the Ranger's good name. Stay tuned. 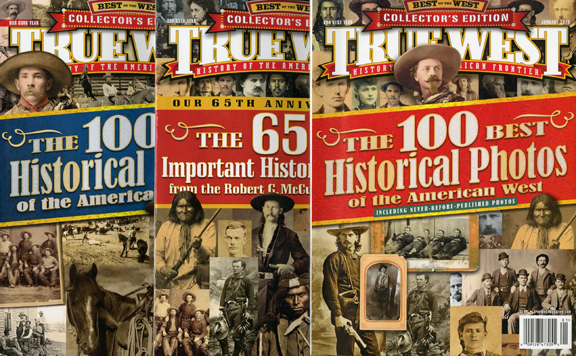 We are covering all of this in the next issue of True West magazine. Oh, and the movie premieres in March of 2019. "When our boys are overseas, they are fighting for the safety of their country and people. Likewise, peace officers fight for the safety of the public. Yet if they have to kill a man in the line of duty, they are usually criticized severely by the people they are defending." My son gifted me a copy of the classic short story that allegedly was the template for Francis Ford Coppola's "Apocalypse Now." Finished the first chapter of "Heart of Darkness" this morning. Here is a quote I just read that I originally thought was a stand alone concept about the nature of work, but, actually it's two sentences buried in the story! "I don't like work—no man does—but I like what is in the work,—the chance to find yourself." "Your own reality—for yourself, not for others—what no other man can ever know. They can only see the mere show, and never can tell what it really means." So, there you have it. The nature of work as an existential quest. Doesn't get much better than that. Another damn epiphany tomorrow, no doubt. "We live, as we dream—alone." —Joseph Conrad, "Heart of Darkness"
"The Prophet James Collins Brewster"
James Collins Brewster, 24, had visions of a promised land—The Land of Bashan—and his passionate message gathered adherents wherever he spoke: "Fear not, for I am with you. I will bring your people from the east and gather you into the west. The wilderness and the wasteland shall fall away and the desert will rejoice and blossom as the rose. It shall blossom abundantly and the glory of Bashan shall be given to it. Behold the days are coming when the plowman shall overtake the reaper, and the treader of grapes him who sows seed shall give way to the flowing of thy staff. The mountains shall drip with sweet wine and the hills shall flow with it." And where was this so-called Land of Bashan located? At the confluence of the Gila and Colorado Rivers, today known as Yuma, Arizona. 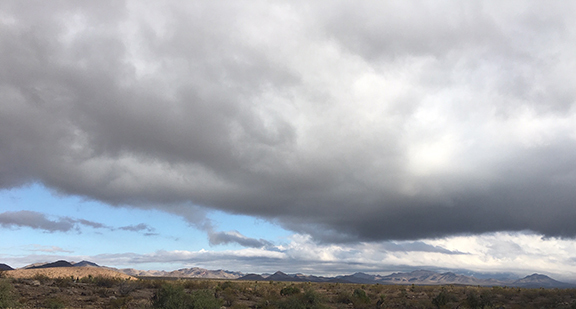 Never mind that the area rarely gets more than 3.5 inches of rain a year, is mostly sand dunes and harsh desert with daytime temperatures reaching triple digits every day for months on end. Oh, and never mind that James Collins Brewster had never been to Yuma Crossing and spoke of the banks of the river being lined with pine trees. 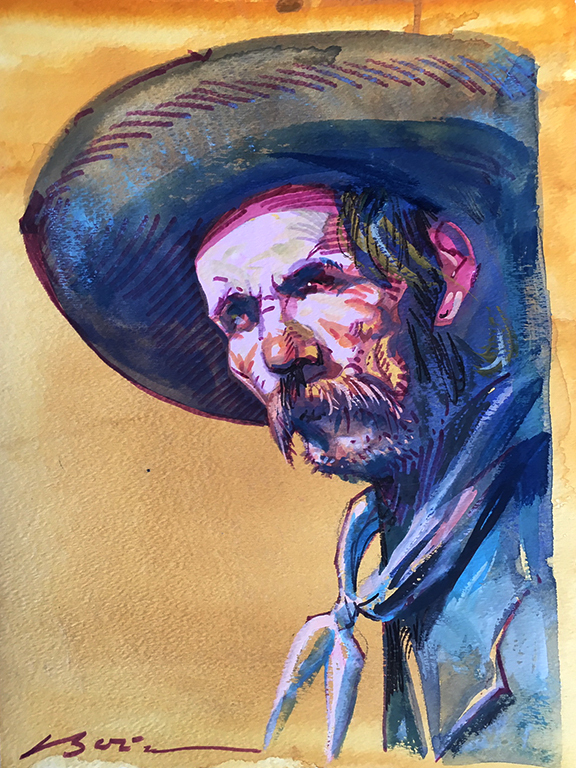 I was on my way to the Special Collections Library at the University of Arizona campus in 1991, to do research on my first "Illustrated Life & Times" book on Billy the Kid. I parked on the west side of campus, where I used to live when I attended college there in the sixties, and as I walked across the campus and past the student union, I noticed there was a speech going on upstairs, so on a lark, I walked up there and stood in the doorway of a banquet hall where the best-selling author, Ray Bradbury, was giving a speech. In fact, I actually came in about halfway into his talk, but he said two things in the time I stood there, that have always stuck with me: "Every day is Christmas Day to a dog." And, "Writing is easy: throw up in the morning, clean up in the afternoon." "Pay attention: the universe is trying to help you." Don't want to give away the topics, but "Narcos" and "The Mojave" were discussed. 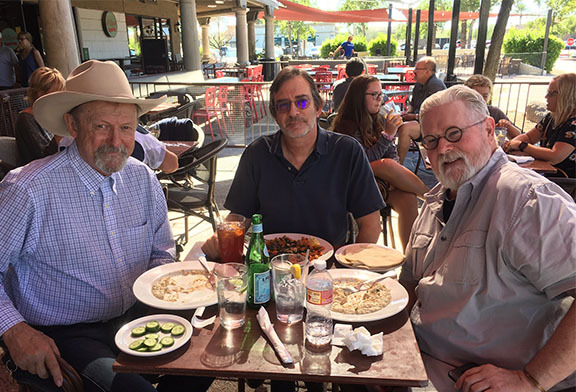 That's Jeff Mariotte and Mort Mortenson with me at Pita Jungle in Scottsdale. Afterwards, Mort and I went down to Cattletrack to talk to Brent Bond about an upcoming show I want to do there in January. "The conquest of the earth, which mostly means the taking it away from those who have a different complexion or slightly flatter noses than ourselves, is not a pretty thing when you look into it too much." In the Can't-Leave-Well-Enough-Alone Department, I couldn't resist giving Emiliano Zapata some more definition. 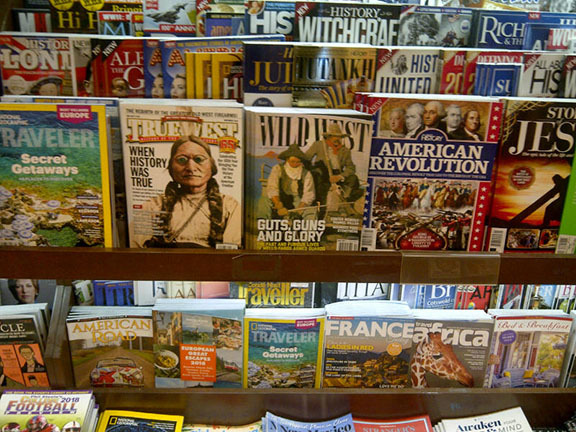 "Mexico Reaps The Whirlwind, I and II"
Daily Whip Out: "Fire Down Below"
"He Used to Own A Magazine." Ha. 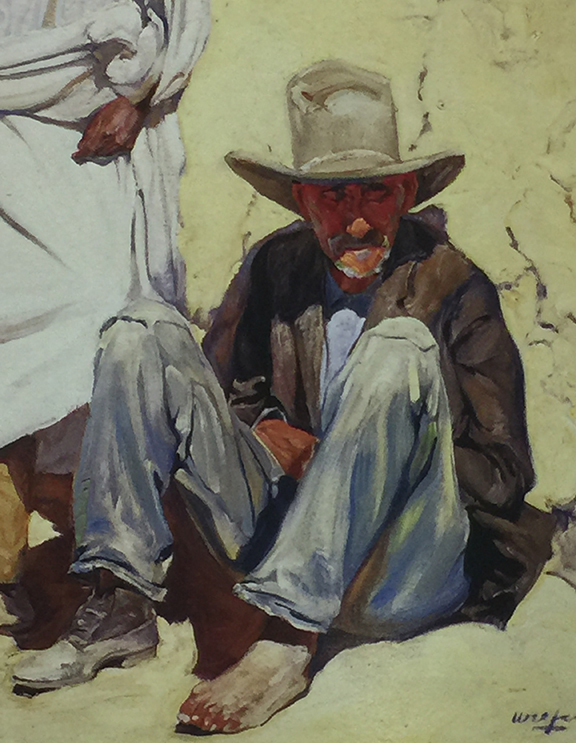 It's actually Walter Ufer one of the Taos Seven. 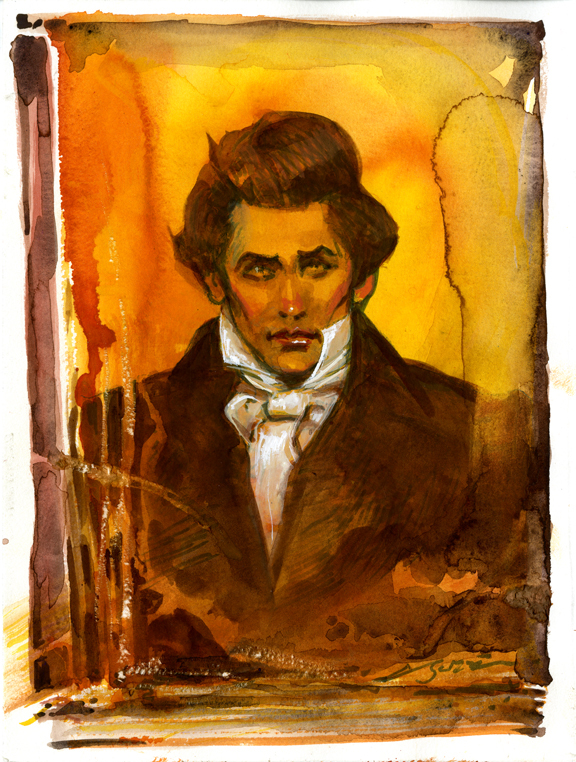 Great painting, never seen it before. "They've got one thing in common, they got the fire down below." 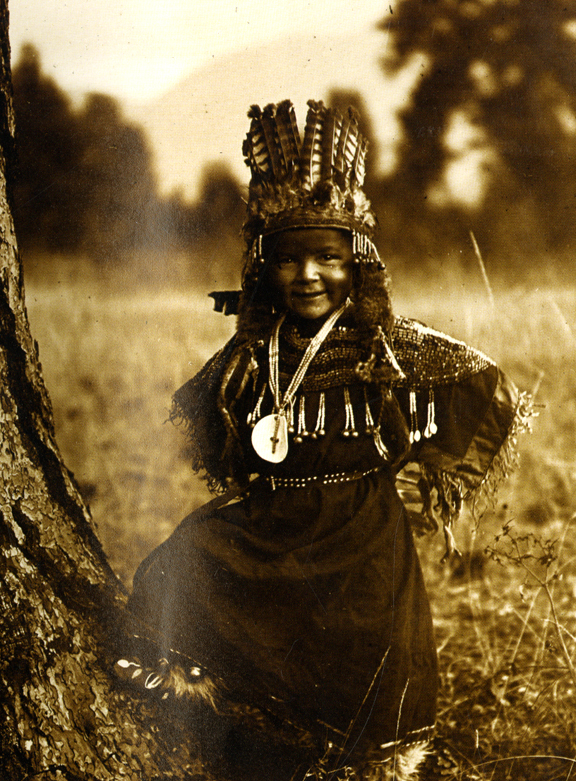 —Bob Seger, "Fire Down Below"
Just saw this great photo of the owner of Spur Cross Ranch, taken in 1905. 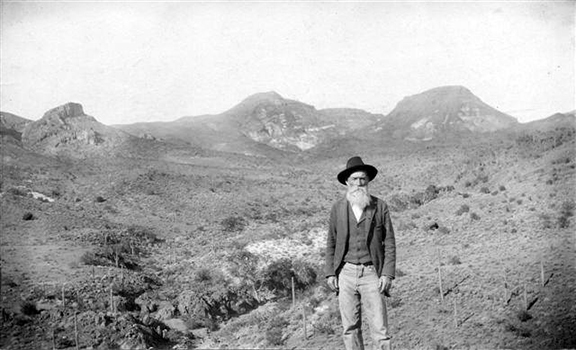 The photo shows the former mayor of Phoenix standing on his land with three prominent peaks in the background. 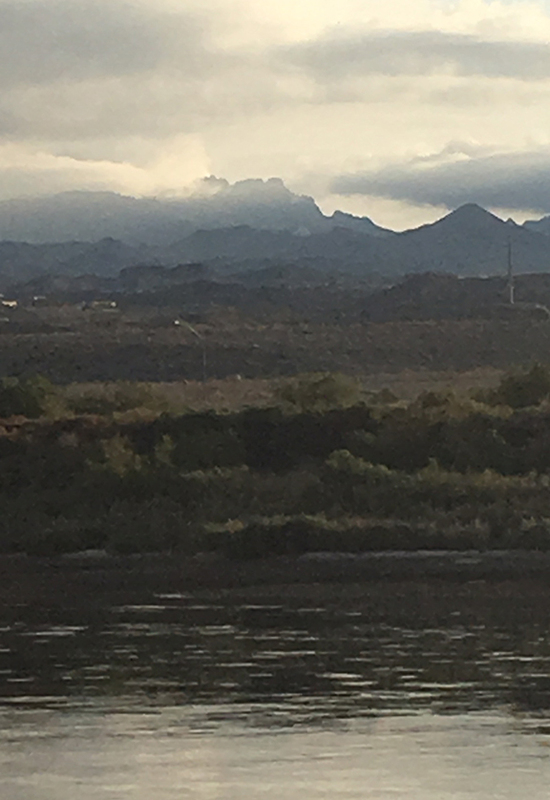 That would be Fortification Rock, on the left (which is at the front end of Elephant Butte) and Sugarloaf on the right. Daily Whip Out: "Life On Line #2"
So I gave her another wash, or two. Here is the original, below, which has some looseness I lost on the second go round. Proves the old saying: for everything you gain, you lose something, and, for everything you lose, you gain something. "Life On The Line rough"
"I can tell if people are judgmental just by looking at them." "Oh, Pancho, What Have You Done?" 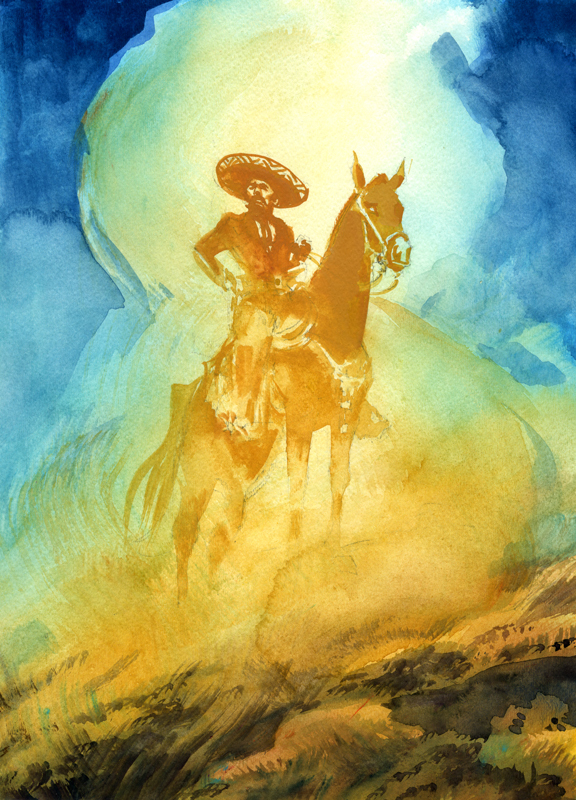 And, if Pancho Villa hadn't become so livid over the debacle that he decided to attack a U.S. outpost in retaliation, a Chicago newspaper crime reporter—would not have been dispatched to Columbus, New Mexico to do a story on this Mexican invasion of the United States of America and the subsequent punitive expedition into Mexico mounted by John J. "Black Jack" Pershing. And if that Chicago reporter hadn't followed up the story in El Paso, Texas and not gone into the Coney Island Saloon for a beer, and not been curious about the pistol hanging over the bar, he would not have heard that it was the actual revolver that killed Billy the Kid. 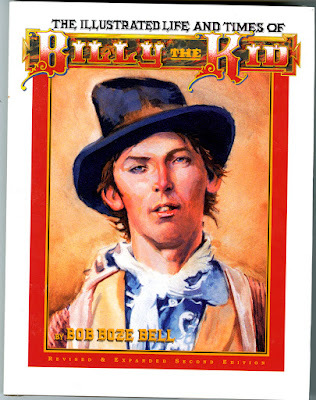 And if the Chicago journalist hadn't asked, "Who's Billy the Kid?" 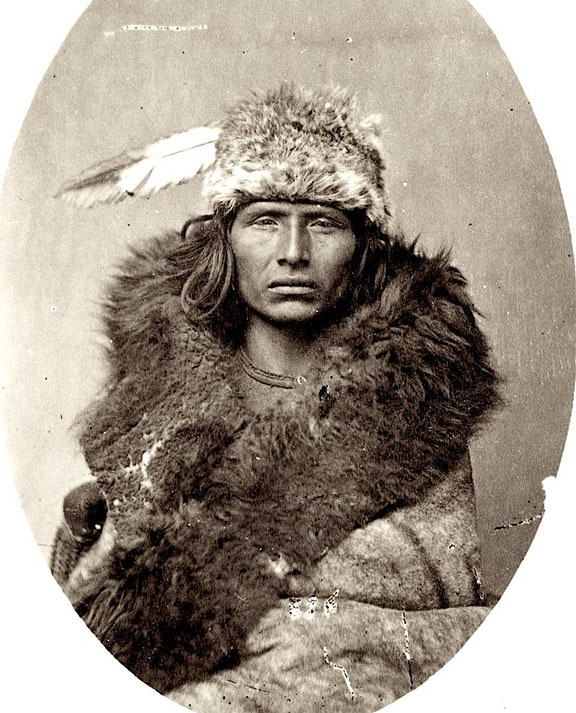 the owner of the saloon wouldn't have told him that the Kid was the most famous outlaw in New Mexico Territory, many years ago. And, if this crime writer hadn't decided, seven years later, to go visit his sister, who was living in Albuquerque, New Mexico, he wouldn't have borrowed her car and drove out to Fort Sumner to interview Paulita Maxwell and others who knew the Kid, and if he hadn't done those interviews he probably wouldn't have published the first Book of the Month Club title, "The Saga of Billy the Kid," by Walter Noble Burns, and it wouldn't have become a national best seller and capitulated the long forgotten Billy Bonney back into the spotlight, which eventually spawned over 65 movies and hundreds of books and articles. And I swear to God, I only wrote half of them. Oh, and one more thing: when the legendary Texas Ranger Frank Hamer and his posse ambushed Bonnie and Clyde, in May of 1934, the authorities found inside the bullet-riddled "death car," Clyde's saxophone, three BARs (Browning Automatic Rifles), two sawed-off shotguns, a dozen hand guns, fifteen sets of stolen license plates and a book, "The Saga of Billy the Kid," by Walter Noble Burns. 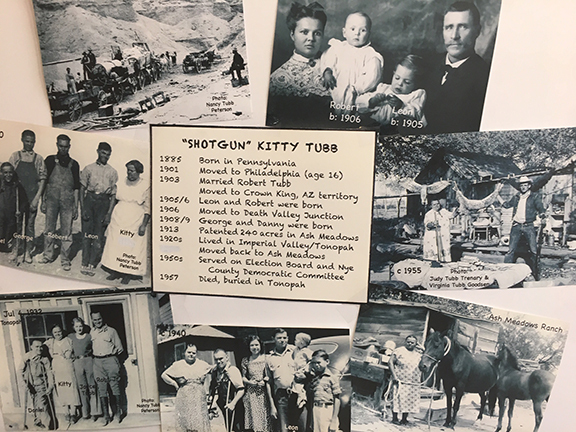 The husband of Walter Noble Burns' cousin was Thomas Mabry, who would later be New Mexico's governor, and, who, in 1950, would interview Brushy Bill Roberts to determine if he was really Billy the Kid and grant his request for a pardon. Brushy wasn't, and Mabry didn't grant the pardon. The irony here is that Brushy Bill probably got most of his information from—you guessed it— "The Saga of Billy the Kid," by Walter Noble Burns. My friend, and fellow artist, Gary Zaboly, posted this great photo of an unknown Indian Policeman from the 1890s. 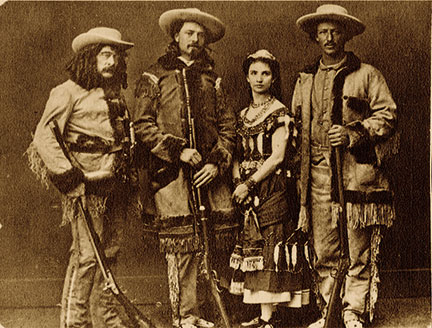 Ned Buntline (at left) and The Combination, August of 1873, featuring Buffalo Bill (second from left), and Texas Jack Omohundro (far right), who fell in love with, and married Giuseppina Morlacchi, the exotic dancer from Milan, Italy (in dress). 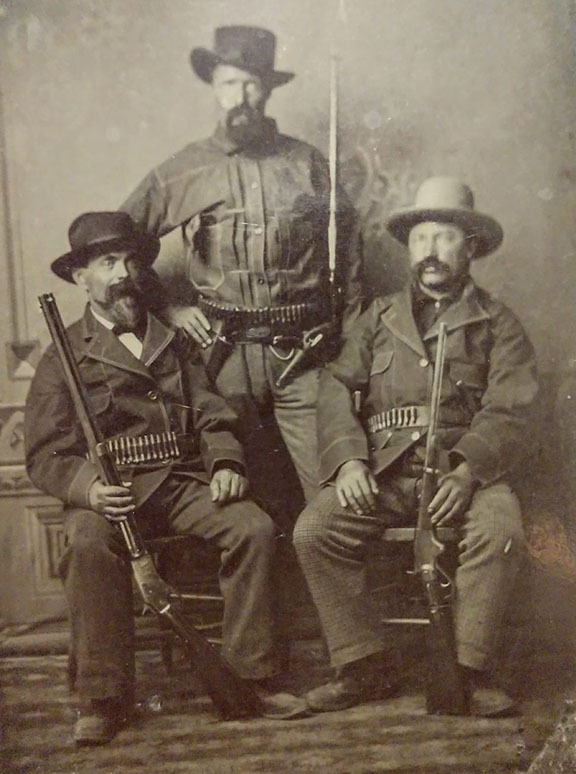 Okay, this just in from researcher Gay Mathis: Cowan's Auction listed this was from "The Rick Mach Collection of Civil War & Western Photography" back in 2014. 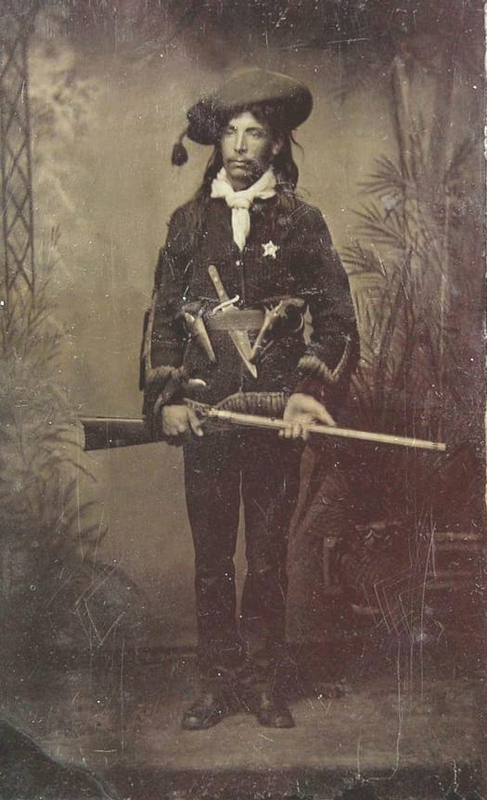 Identity unknown but had this description on their website: "A CDV sized tintype of a Mexican performer, holding a Remington rolling block sporting rifle. On his belt is an unusual bowie knife, along with two spur trigger revolvers." 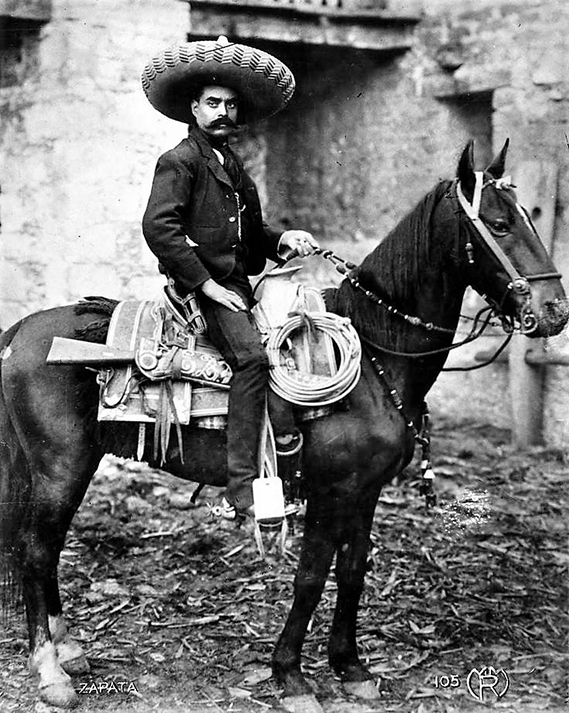 It's fascinating to me that around the turn of the Twentieth Century the Mexican vaquero style and traditions were at their very peak in terms of great hats, saddles and gear of all kinds. But superior style and horsemanship can only take you so far. In 1910, the intellectual elites of Mexico began to challenge the regime of Porfirio Diaz who had been in power for 34 years. Revolutionary fighters in northern Mexico began to fight for their freedoms and rights and they looked dang cool. But these horseback soldiers were no match for machine guns and other modern weapons, and, consequently, a staggering 1.5 million lost their lives in the fighting that followed, as entire battalions were mowed down, one after the other. This is more than all of the fatalities in all of the wars the U.S. has fought since we became a nation. 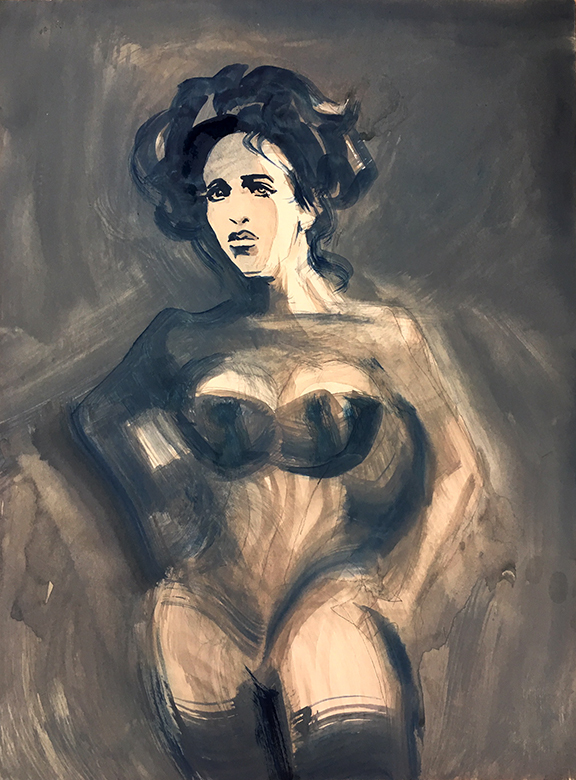 A doctor who lives up the creek from me decided, several years ago, he wanted to pursue his artwork, something he told me he had neglected during the long slog to becoming an MD. Once, while visiting his home, he showed me a painting he was trying to finish, and he confessed to me he had been working on it for a month. 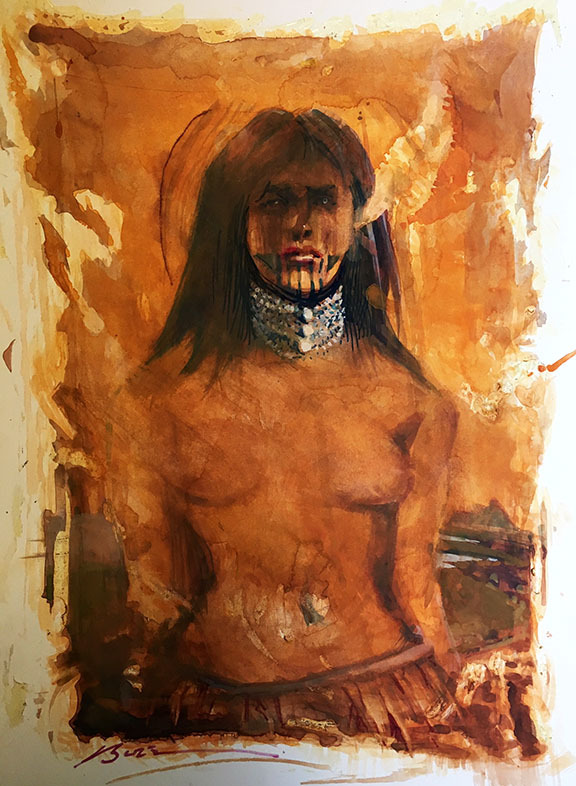 Frankly, it looked like it, and by that I mean it had a tortured look, like something a physician might do if they decided to apply and channel all the things they learned in med school into one painting. Of course I didn't knock the painting because I have painted scenes like this myself and I've been caught in a similar torturous corner many times. Instead, I tried to be positive, giving him a couple suggestions. When I mentioned my theory about painting as quickly as possible, he asked me a question, which was actually more of an accusation: "Come on, you don't really do those 'Whip Outs' in one sitting, do you?" "I really enjoy your Whipouts. I'm a bit curious as to how long, on average, does one of those take?" 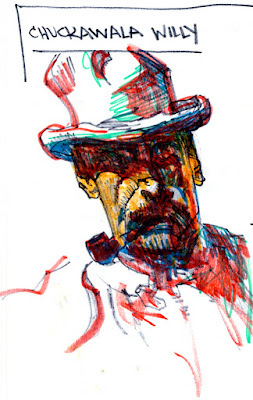 Daily Whip Out: "Ojos Under The Brim"
Daily Whip Out: "Life On The Line"
When it comes to drawing, thinking ruins everything. In my opinion, you have to do a drawing, or a painting, as quickly as you can, without hope, without despair. Toulouse Lautrec believed if you let the pencil stop, the drawing will die. Good advice. "I work to create something that is in my brain, and I don't feel like I have to impress people outside." "Everything needs to be planned, and yet, in the end, there needs to be a kind of innocence." I must confess to you, this is not easy for me to do. 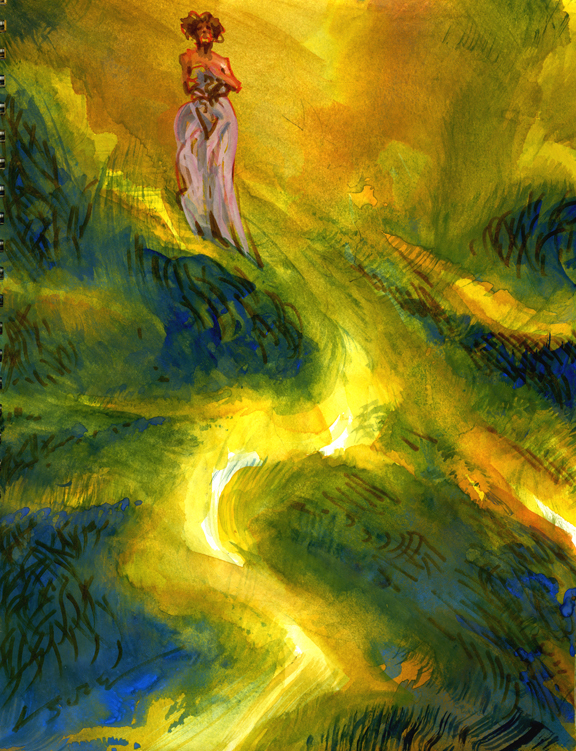 It's very hard to let go of the skill set I have painfully acquired over a 40-some-year career and just let it all go when I sit down to draw or paint. But, that is where the magic is. 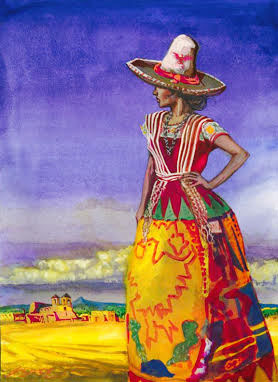 "Mexican Mamacita" took two sittings. Here's another example: revised and revisited. I saw this Daily Whip Out on my desk this morning and decided it needed another tweak, or two. Daily Whip Out: "Worn Out, Revised And Revisited"
So, altogether, probably two hours. But this is not an indictment of taking your time. 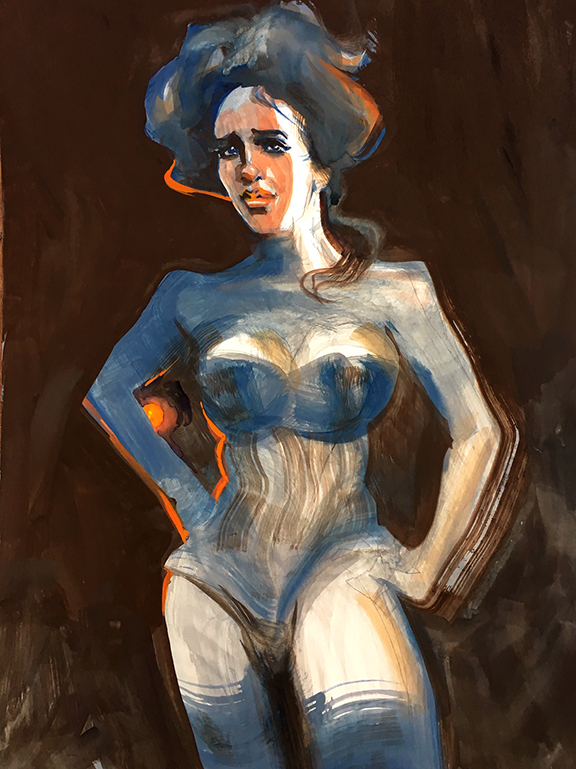 I have many paintings that I have worked on for days and even weeks, but too many of those look tortured, so I remain, for better or worse: Mister Whip Out. Looks like a great weekend ahead. Trying to simplify my approach. 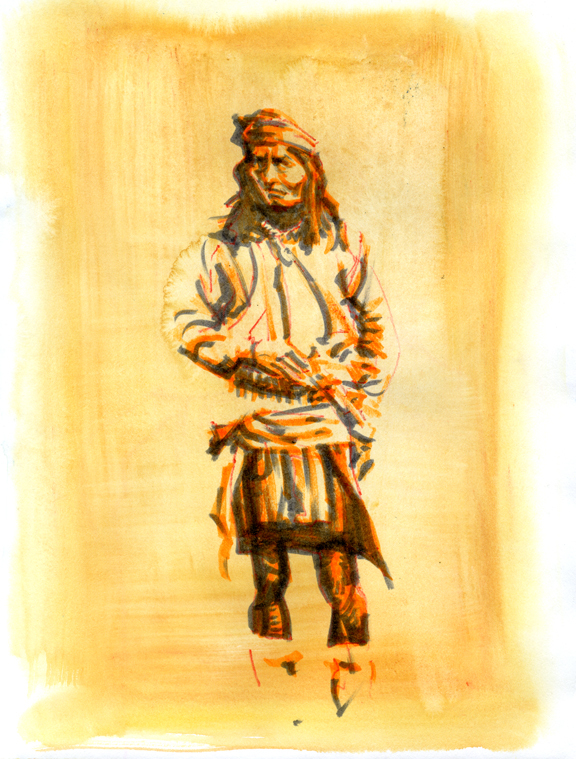 Daily Whip Out: "Apache Duotone"
After we visited the local museum in Shoshone, California, just outside the Death Valley National Park, I drew a sketch of one of the miners I saw in the display case. I showed the drawing to Kathy and said, "What is his name?" And so it is. I realize the formal pronunciation is chuckwala, but I have always pronounced it as chuck-ah-wala, because, well, I grew up in Kingman. One of the major lessons Kathy and I learned on our recent jaunt to Nipton and Death Valley is: when coffee is as important to us as it is, we need to bring our own coffeemaker. "Decaf? You mean brown sadness water?" All in all a great trip although I wouldn't do the Laughlin casino leg of the trip again. We wanted the river walk in the morning, but the swarming gnats ruined that little fantasy. 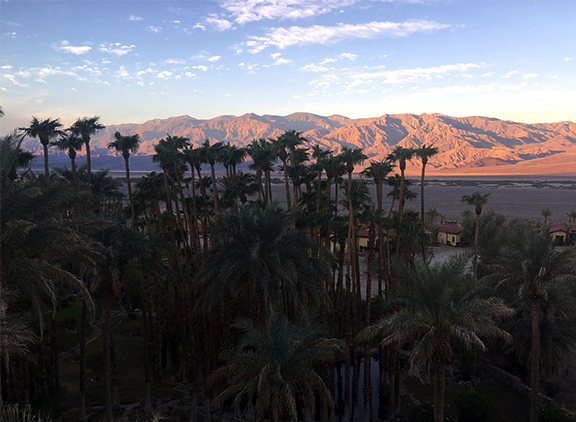 Yes, Nipton was a hoot-and-a-half and very relaxing and so was the Oasis at Furnace Creek Inn in Death Valley. We gave our good friend John Goodwin at Galaxy Press an award last week. I have an anniversary coming up. 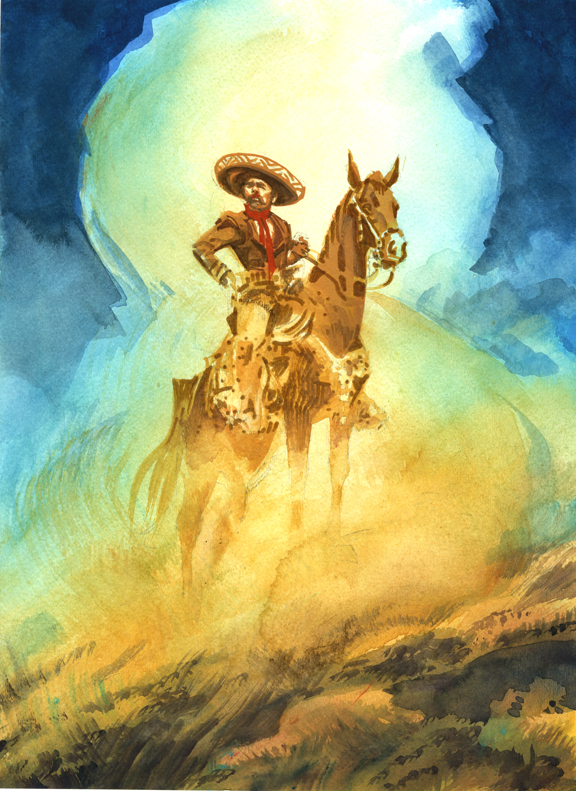 As of this coming September, in 2019, I will have been running True West for twenty years. This is about seventeen years longer than I thought it would be. Against long odds and a heavy handicap (I am not a businessman and even married a math teacher so my checkbook would balance), the magazine has survived and even thrived, thanks to a long list of friends and associates who somehow stuck with me through thick and thin (we lost about $30k a month for the first two years). 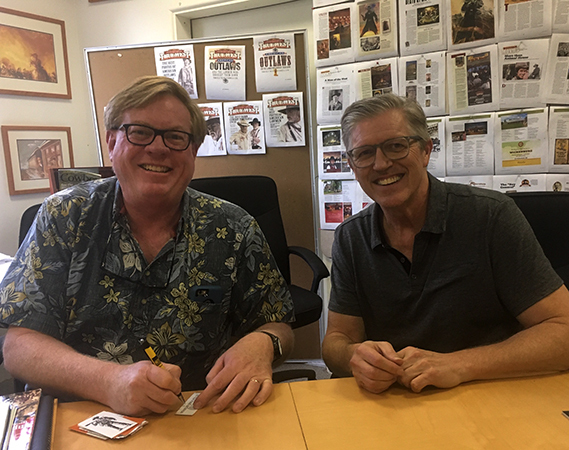 The key, of course, is having good people to help out the cause, and last week we hired a new editor, Peter Corbett, at right. He and our senior editor, Stuart Rosebrook are going to be an editorial team going forward. it exists—and you can't do a damn thing about it." Zapata tricked out and looking muy guapo. Check out that gear! Ay-Yi-Yi! Sweet. "I can see by your outfit you did alright by the revolution." 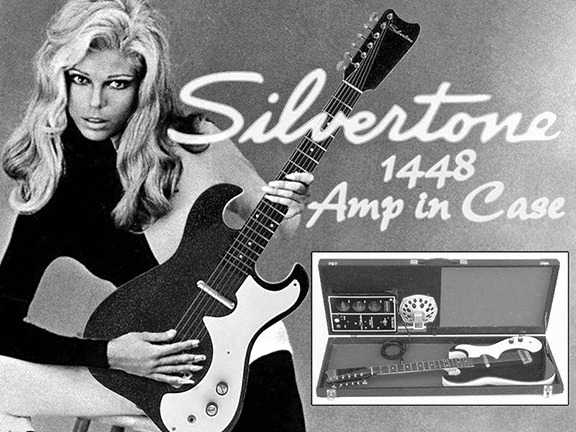 Oh, Nancy, your boots may be made for walking but your hands tell me you've never played a guitar in your life. "I hate it when I see actors in movies holding a guitar like a baby." I am a very satisfied subscriber of your fine magazine, thank you very much. Upon reading your last issue, Nov. 2018, page 41 shows a collection of "Art History", that your magazine has published over the years. All of the illustrations are good. But I almost fell off my Barbary Coast bar-stool with laughter when I saw the (1930s?) drawing of a naked hottie, holding onto a wooden barrel to cover herself; next to her stands a desperado, pistols drawn, with the caption, "Stick 'em up!" I absolutely find no offense with this cartoon. It is humorous! The attractive woman is not exposed in the illustration (yet? ), nothing to hurt the eyes of prudes which might unfortunately read your magazine. Nor is this sexist; anyone held at gunpoint is advised to do what is best to survive. But I'm getting serious, which is ludicrous when talking about this classic and funny comic. One of the reasons that I enjoy TWM is the humor, be it comics, stories, or even 1800s recipes! 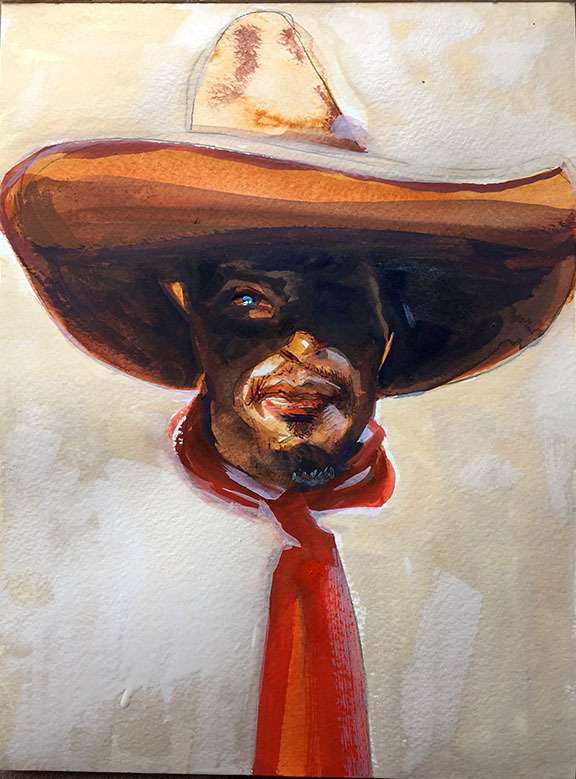 Stuffy historians and ill-humored historical fans of Americans great Old West should get over themselves, go out with some friends to a bar or saloon, have some drinks and lighten the heck up. Thanks for your time. Cheers! Here are the three secrets: Have a sense of humor. Be authentic. Have a point of view. That's it. Nothing more. Nothing less. "If it's true that legend is truth exaggerated to make a better story, then one of the things we historians do best is to ruin a good story." On Wednesday, we lounged around Nipton until noon, enjoying the quietude (full disclosure: Nipton is right next to a branch line of the Southern Pacific train tracks and about every hour or so a long freight train comes blasting through with sirens blaring). Kathy and I were headed for the hottest place on earth. Driving west to I-15 we headed southwest to Baker, California, then headed north into the the least popular National Park in America. 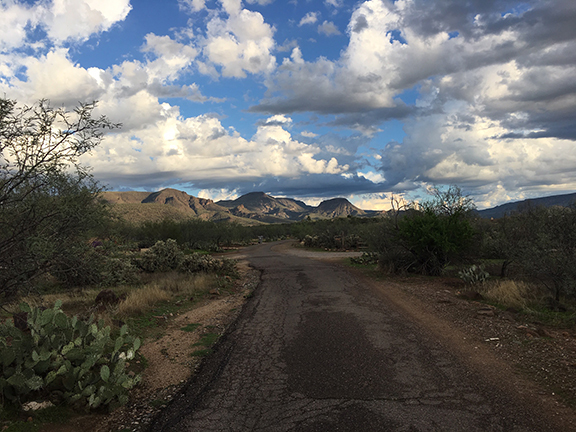 Back in the day, New York art directors were fond of vanishing point desert vistas and I remember driving all over Arizona with a professional photographer from Phoenix who got the assignment to find a two-lane highway example for a national ad shoot. We found the one on the back side of Monument Valley, heading for Mexican Hat (it is seen prominently in the film "Forrest Gump") but this one, above, is about twice as long as the Arizona one. 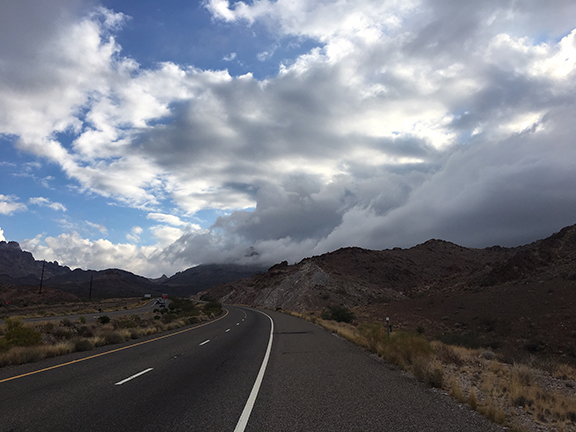 From Shoshone, Kathy and I motored over the divide and then stopped at Badwater, which is 282 feet below sea level. 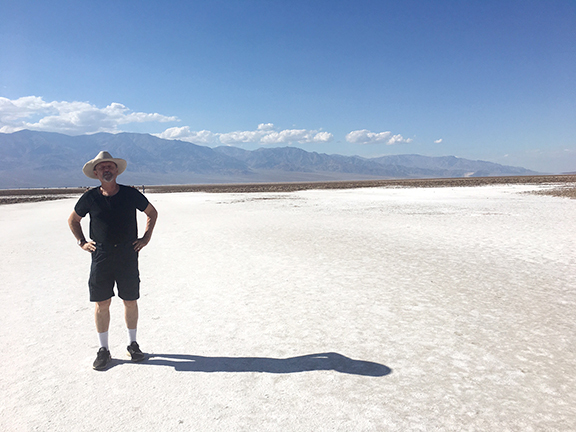 According to Roger Naylor's fine book, "Death Valley: Hottest Place On Earth," that white stuff I am standing on is 95% pure table SALT, and it covers 200 square miles and is 9,000 feet deep and consist of accumulated sediment and SALT. All from lakes drying up during the ice age. And it is still damp now! 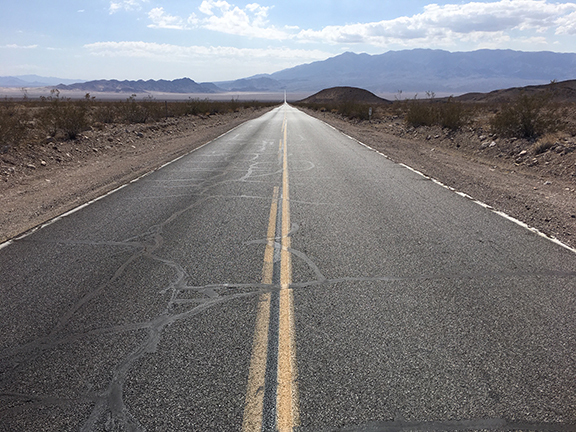 From this interesting hell hole, it was only a hop, skip and a jump to Furnace Creek in Death Valley. 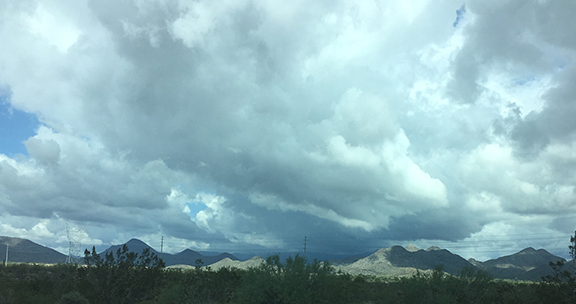 "It was so hot that swallows in full flight fell to the earth dead and when I went out to read the thermometer with a wet Turkish towel on my head, it was dry before I returned."